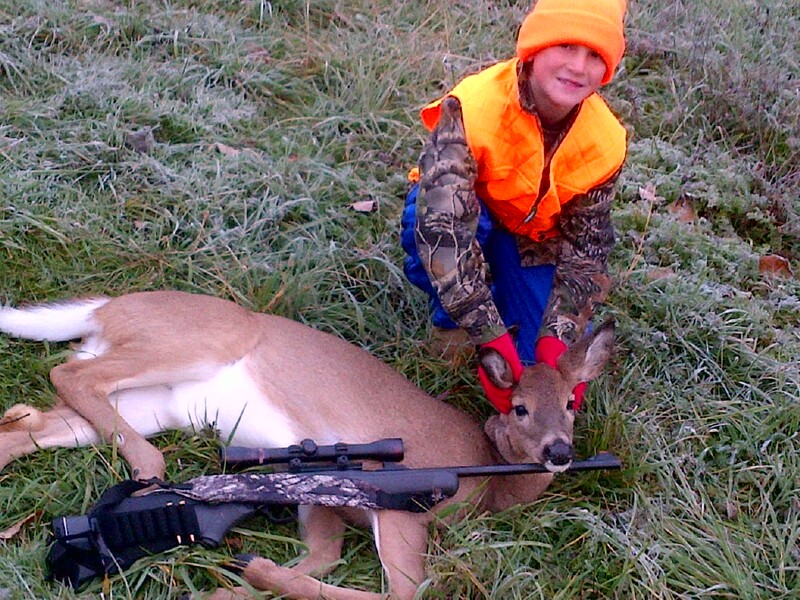 2012 Youth Hunt, EJ's 1st Deer. 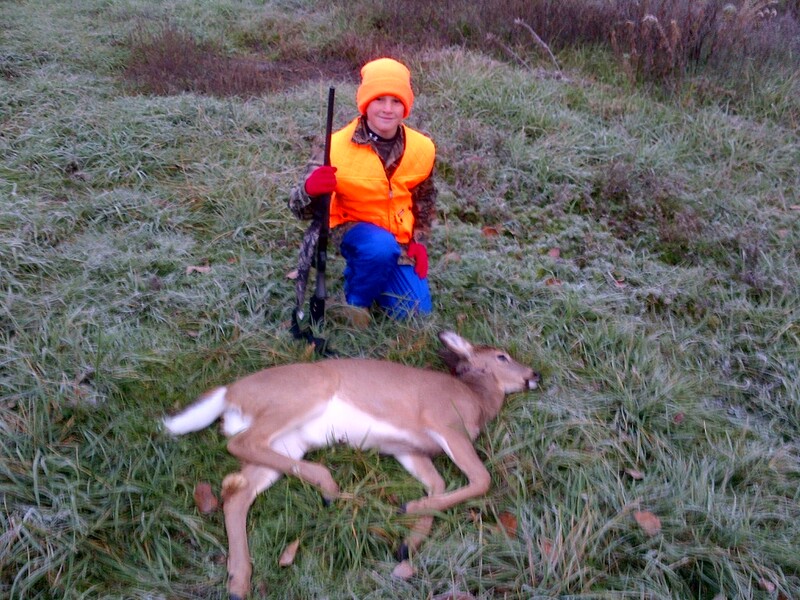 EJ's first Deer, Doe down. Rossi 243 trifecta, dropped on the spot.